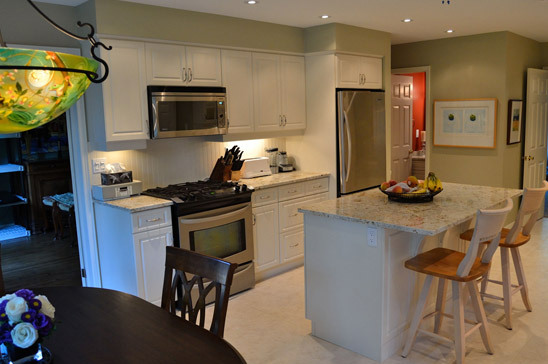 Just Kitchens offers professional-grade kitchen design in the London, Ontario area, so we can ensure that you’re satisfied with your renovation. Three important features of great kitchen design are functionality, style, and comfort. As an experienced renovation service, Just Kitchens can be trusted to professionally design and renovate your kitchen while keeping these three elements in mind. Complete our contact form for a free proposal or to inquire about our design services. Everyone has a dream kitchen. Are you unsure of where to start design-wise? 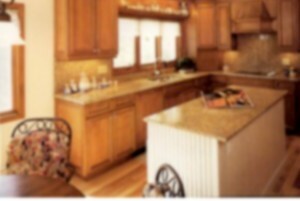 Just Kitchens has surprised many London locals with our ability to see design potential in any drab and dated kitchen. Our beautiful before and after gallery is a great resource if you’re having difficulty imagining a new kitchen for yourself. Just Kitchens can tailor your kitchen to your personal taste with our wide variety of countertops, flooring options and custom cabinetry. We even supply clients with products such as sinks, faucets and cabinet hardware. Visit our products page for more information and contact us today for a free renovation estimate! Contact us today to receive an estimate on our London kitchen design and renovation services.